Fruit salad is one thing my Dad always had. 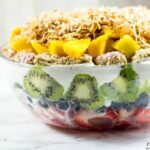 It is so easy to fall in love with a combination of fruits in a bowl. Even better is the fact that they are good for your body. Do you know experts recommend that we have 5 servings of fruits/veggies per day? 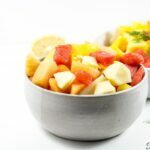 Making a fruit salad is a sure and delicious way to accomplish that because you basically combine different fruits in a bowl and eat. Yummy! 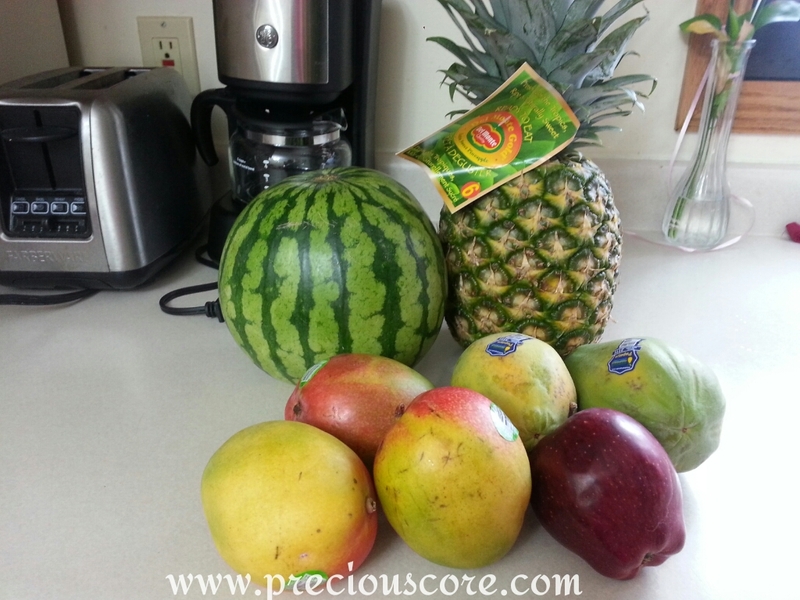 Here is the cast of characters you need for an exotic tropical fruit salad. 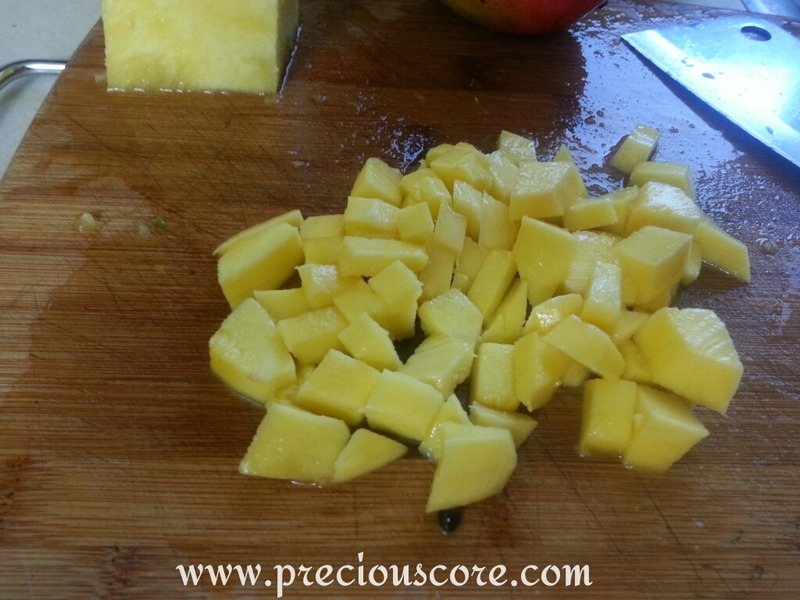 Peel your pineapple and cut around the hard part in the middle. Chop into bite-size pieces. 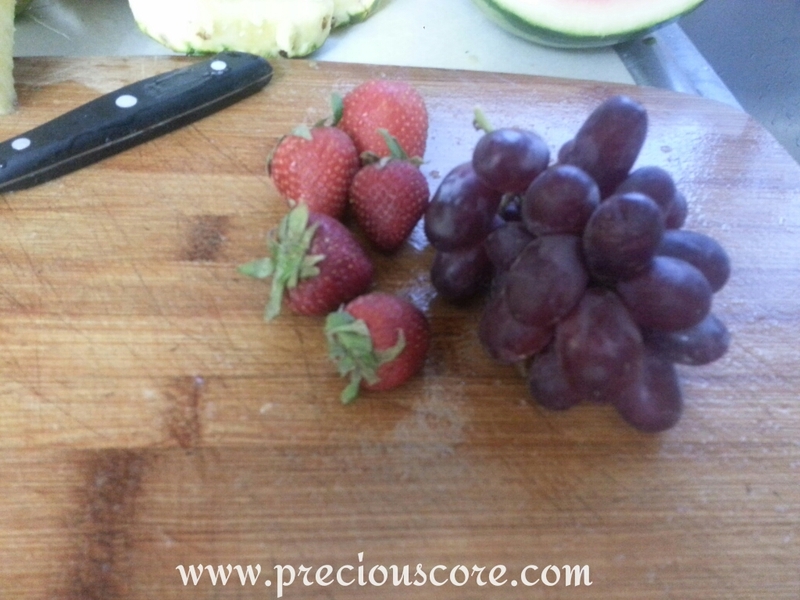 I love to make my pieces small enough so a few pieces of different fruits can fit into a spoon when eating. 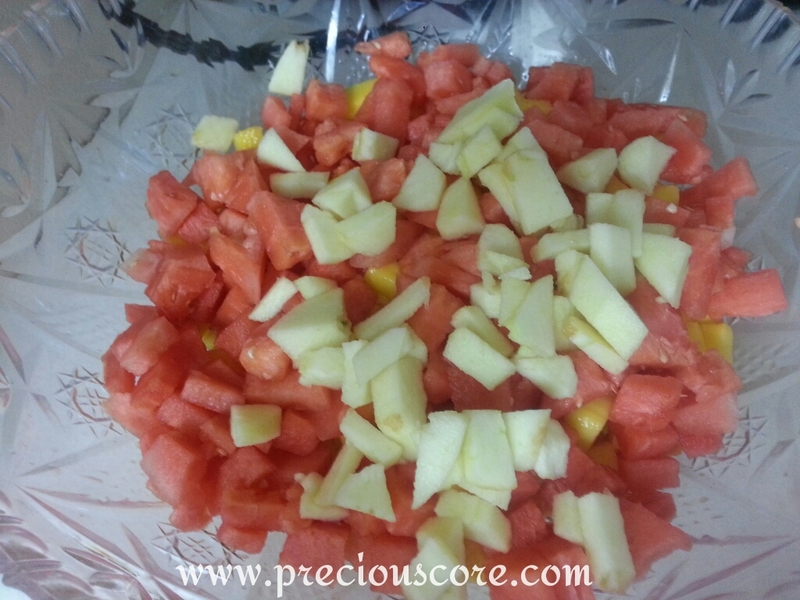 Also try to make the pieces of all the fruits as even-looking as possible so they look attractive. Remember, you eat with your eyes first. As usual, grab some of these pieces and throw into your mouth. 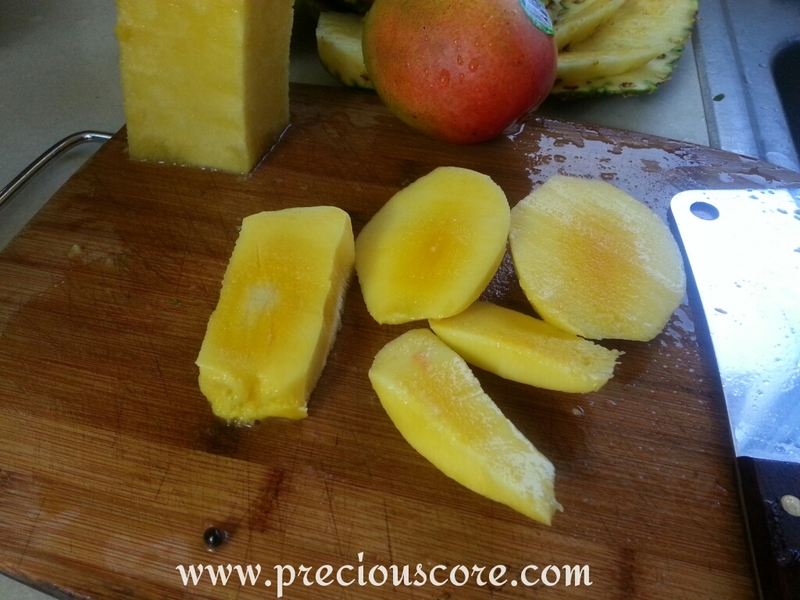 Put your pineapple slices in a large bowl. Now peel your paw paw. 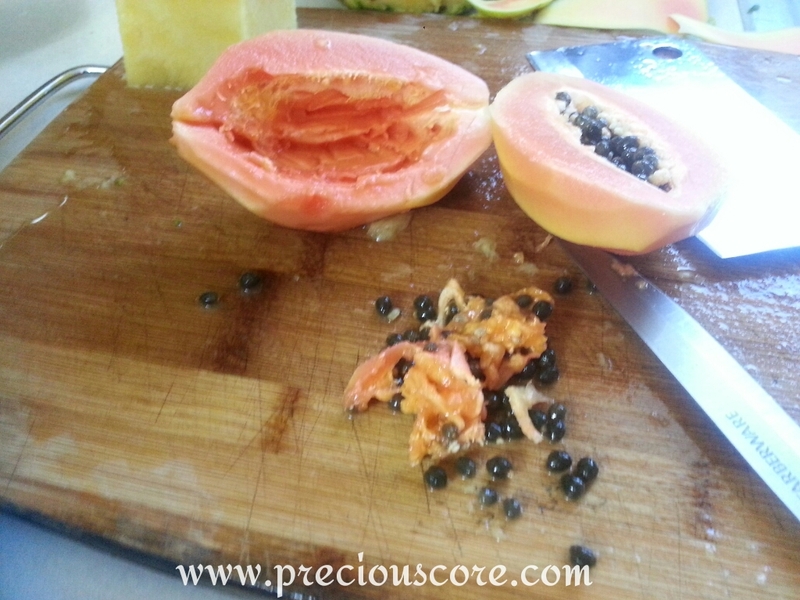 Cut in two and remove the seeds in the middle. 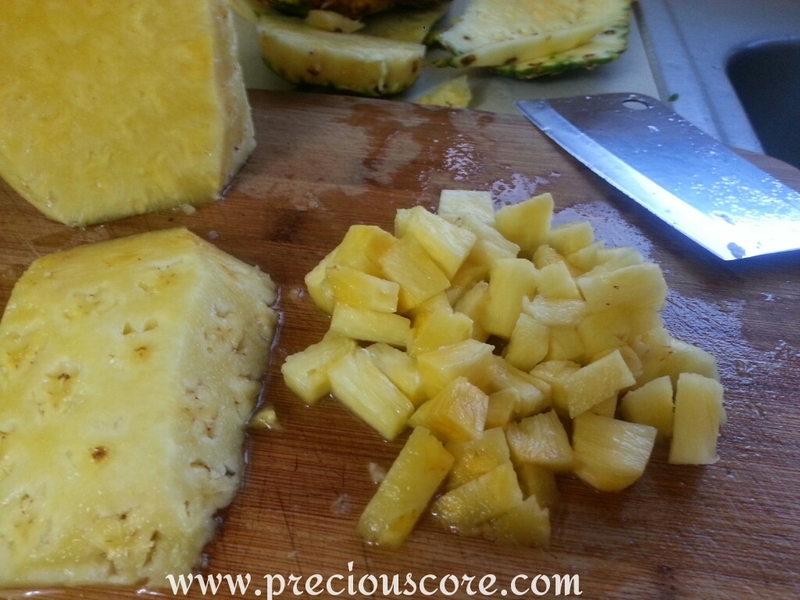 Cut into pieces about the same size as the pineapple slices. 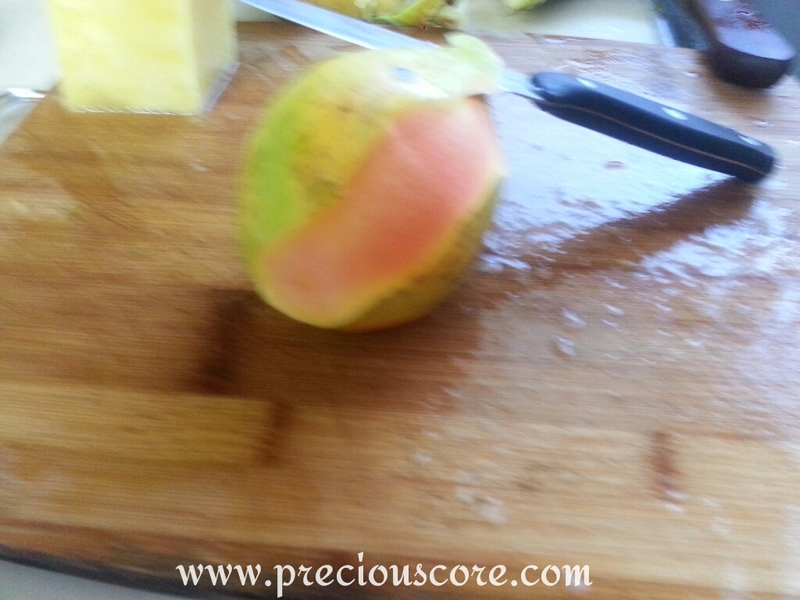 Peel your mangoes and cut around the seed. Now it’s time for the watermelon. 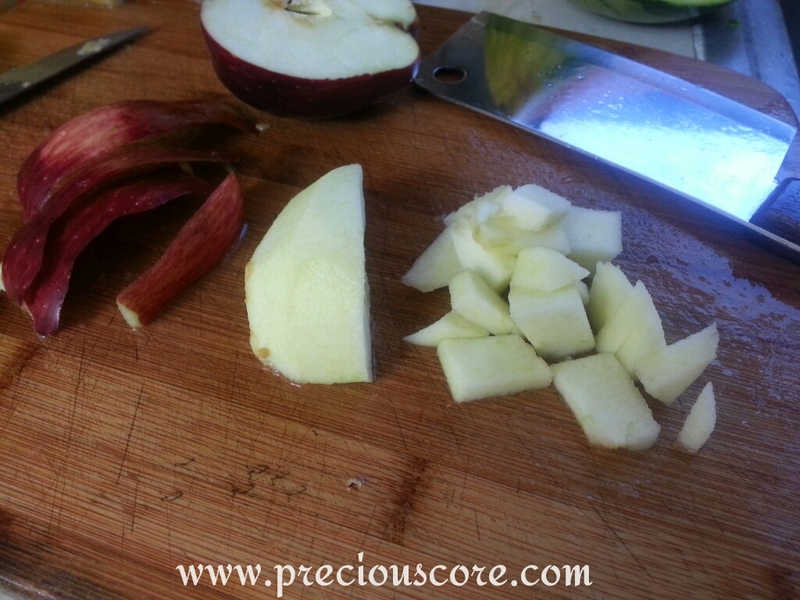 Cut a big piece and sit yourself down at a corner in your kitchen and eat. When you are done, get back to business. 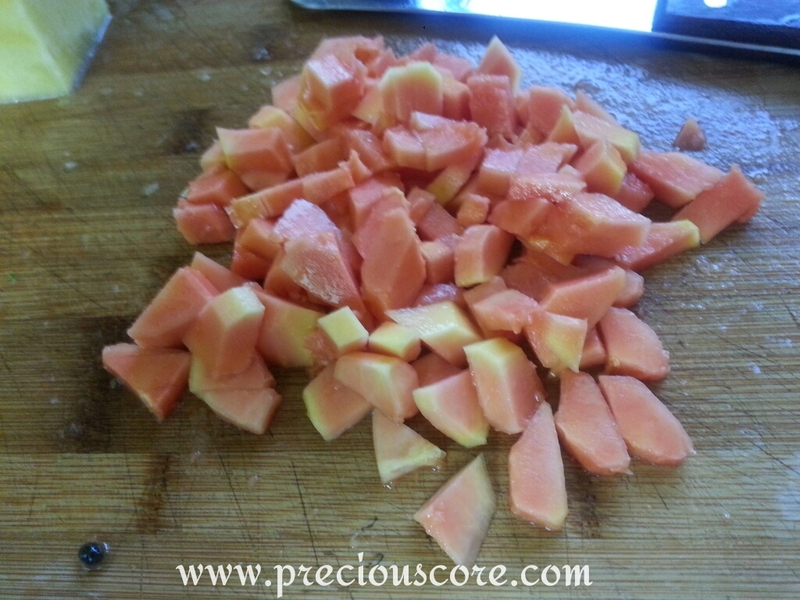 Use a knife to separate the watermelon core from the back. 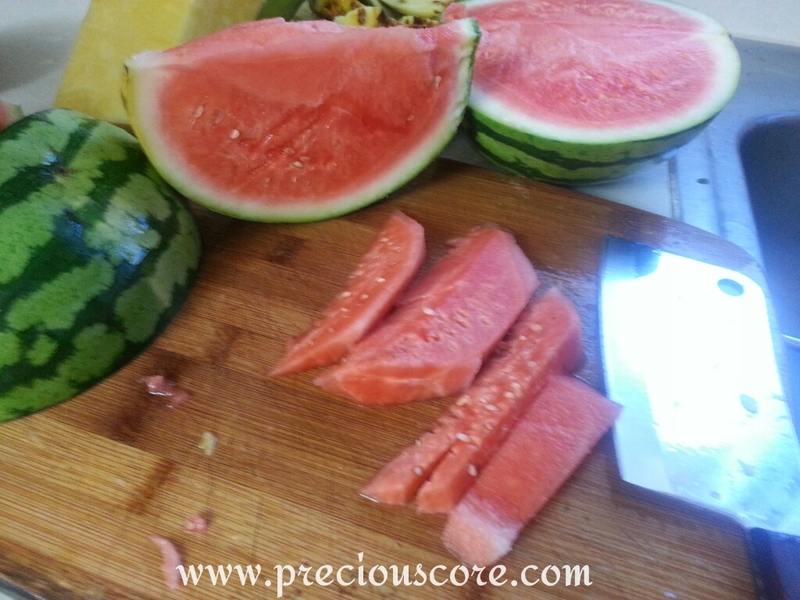 If your watermelon has seeds, remove the seeds being careful not to break the melon before doing this. Chop and add it to the big bowl. Peel the apple if you wish. If you don’t wish, leave it as it is. 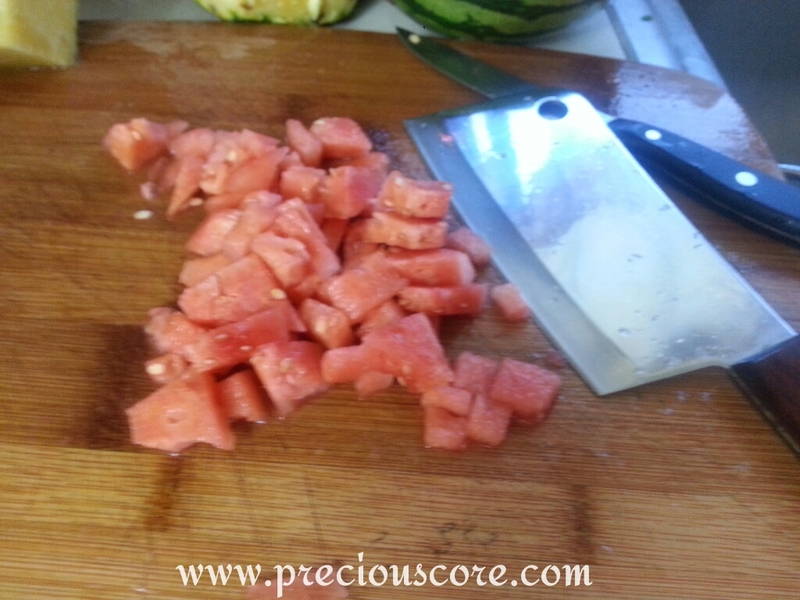 Cut, remove seeds and chop. Add to the rest of the fruits. Now mix all that goodness up and it is done! Here are some other fruits that could go into your salad. I left them out because they are not readily available in Cameroon. If you can find them, use them if you wish. For a very colourful fruit salad, use as many colours of fruits as you can depending on availability. 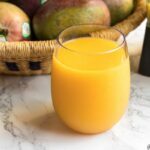 Examples include: honey dew melon, cantaloupe, green or red seedless grapes, peaches, seedless tangerines and kiwi. Have a fruity rest of the week! HERE'S WHAT'S UP: AN EVENTFUL WEEK! 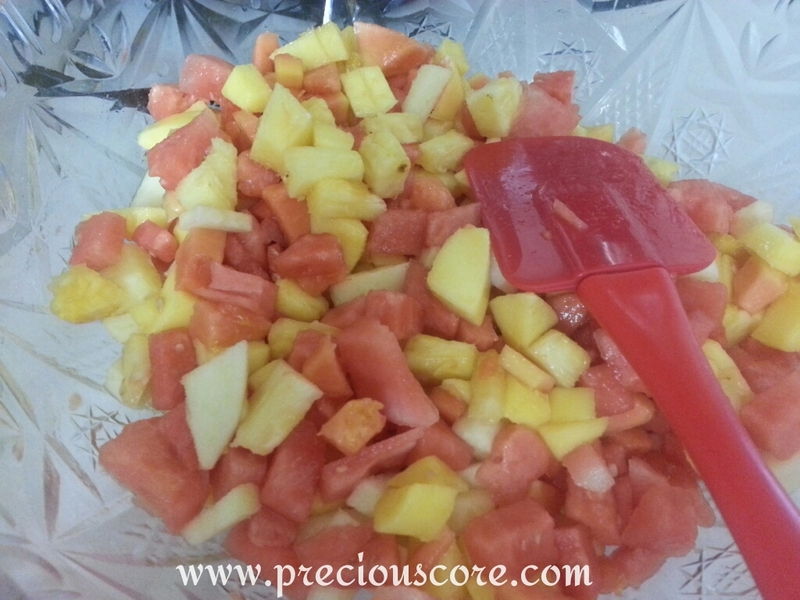 Colours add spices to life and I love the varieties it brings in a bowl of fruit salad. 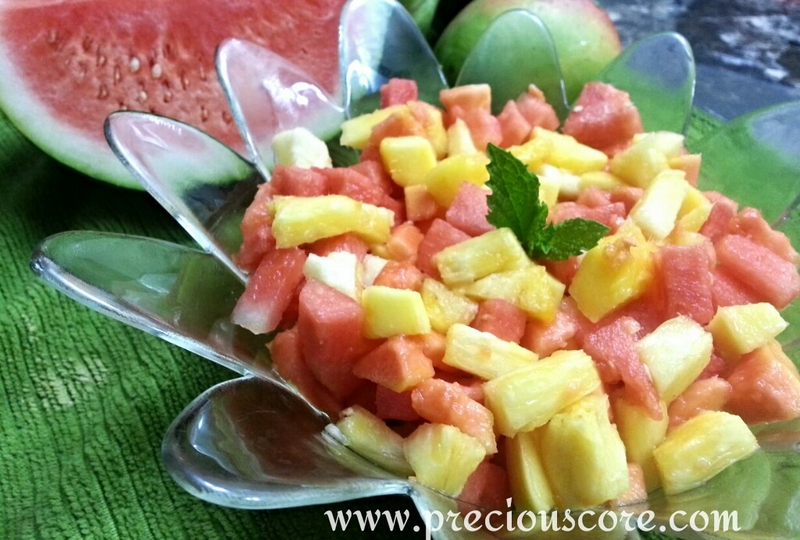 I don't like eating pineapple alone but in a bowl of fruit salad I enjoy it. 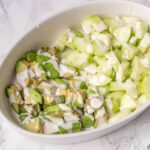 Never tried with grapes and apples thanks for the idea will be trying that sometime soon. I love your fruit bowl. Ateyu. Finish chop then back to business. Glad the ideas are useful, sis. Make some, Favour. It's so good! HI! MADAM,I SO MUCH LOVE YOUR RECIPE,GOD BLESS YOU.